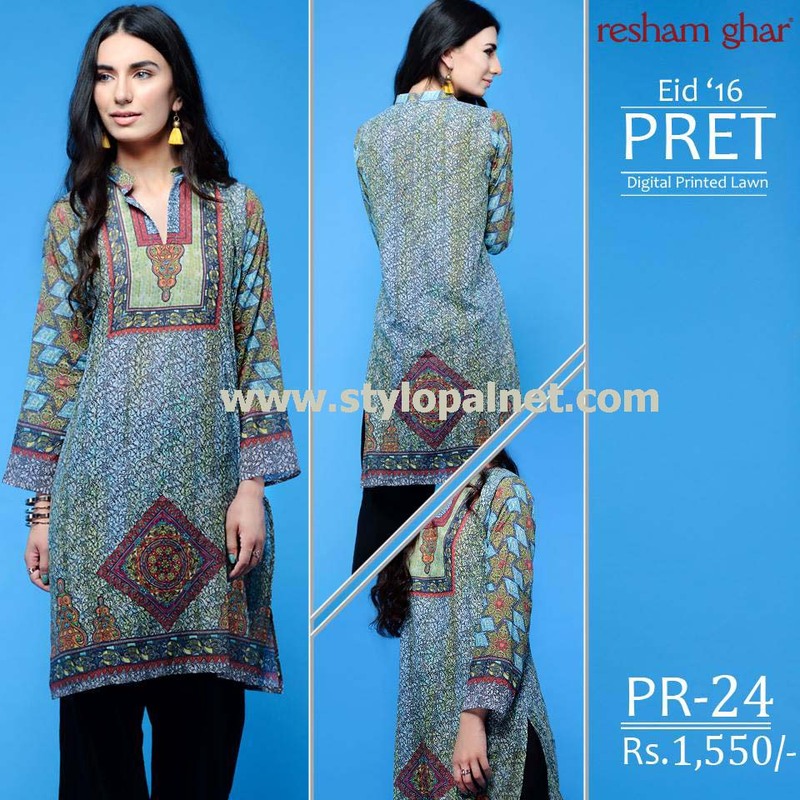 Resham Ghar is one of the most top rated and emerging brand of Pakistan fashion industry which is serving fashion lovers since couples of years ago and produce items every year. 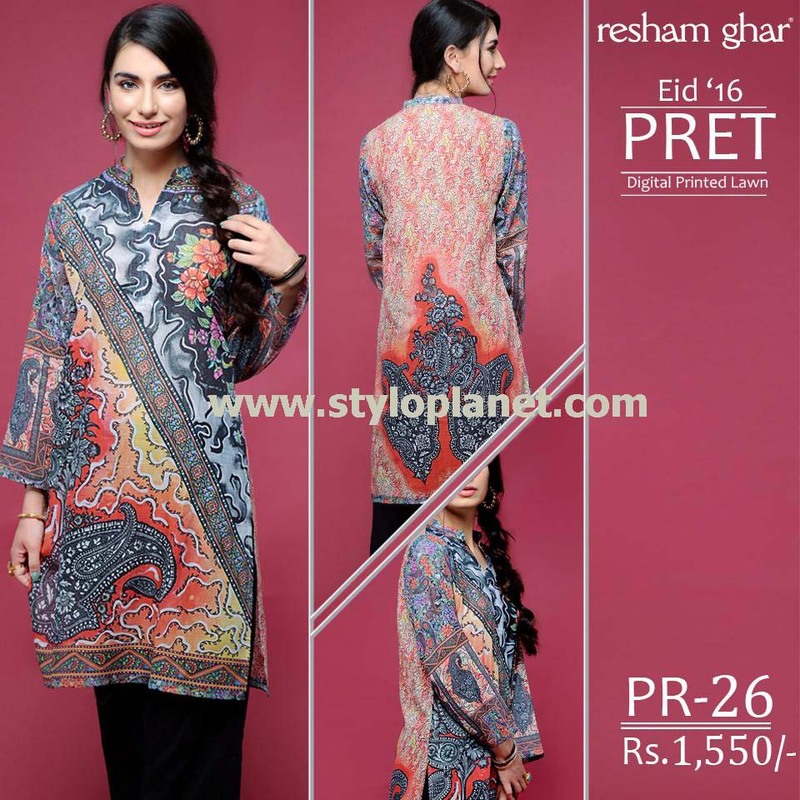 On this Festive, they come up with exciting Eid Collection in amazing prints. 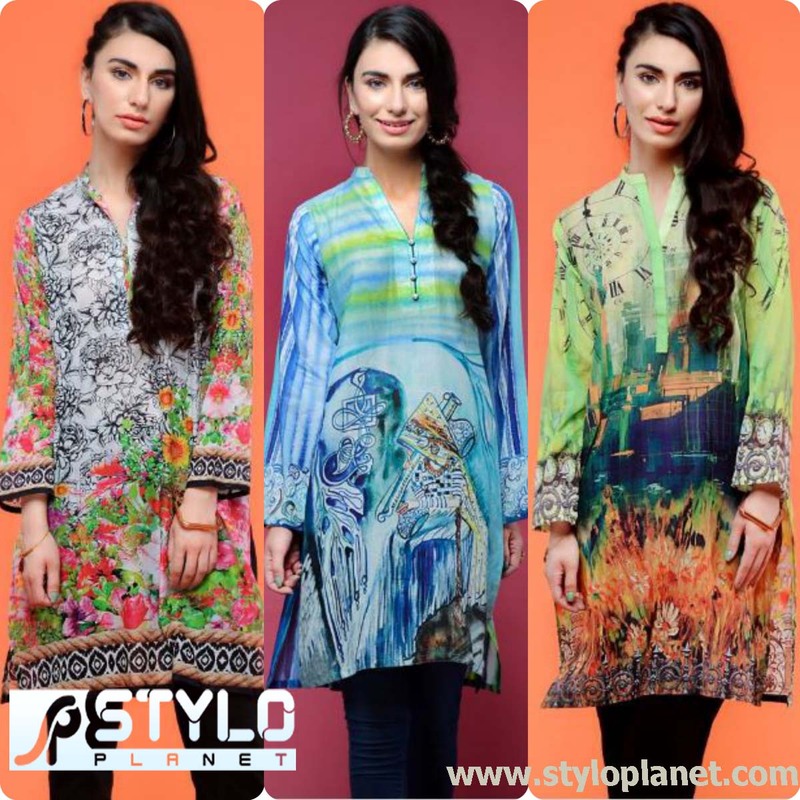 popping out clothing line in the years 1992, they have emerged in fashion market with so many fine designs and trend setting apparels for ladies of all age groups. 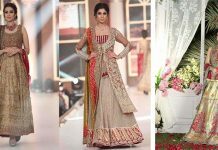 Like wise, we this label throwing a unique and fresh attires at this mid summer season, that has created a buzz in bazars and has rightly targeted the fashionable women in Pakistan. 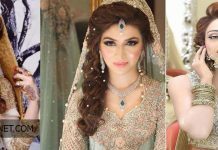 When it comes to formal events like parties, celebrations, gatherings, Eid, Christmas, there always appears a big deal of concern about looking all exciting and elegant yet different from folks. 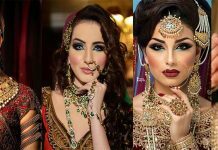 And of course, ladies are always more concerned about their appearance and beauty, for this fashion brands always keep on launching to cater new interests and tastes of the customers. 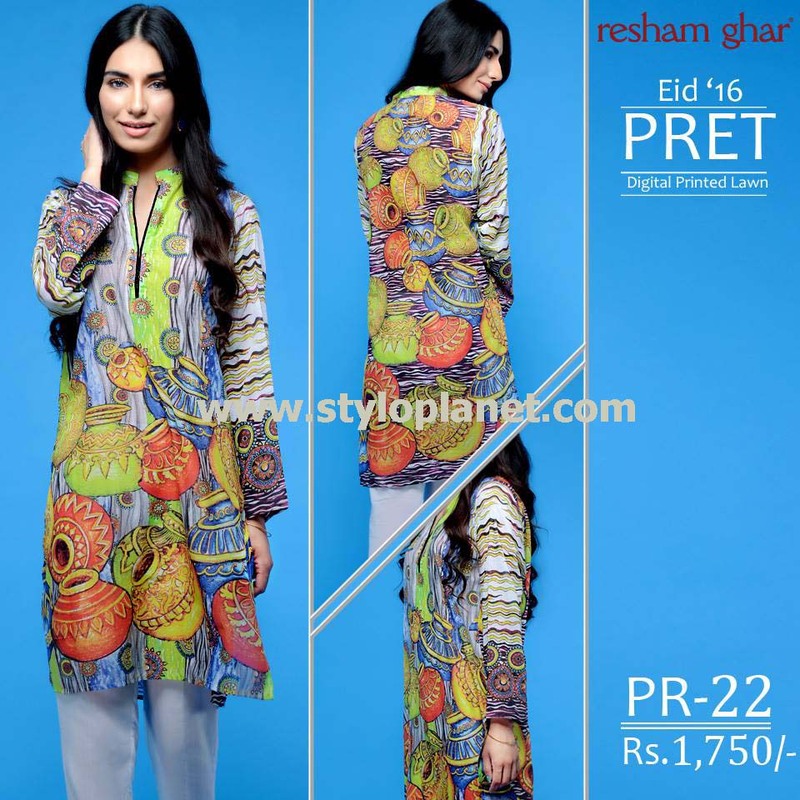 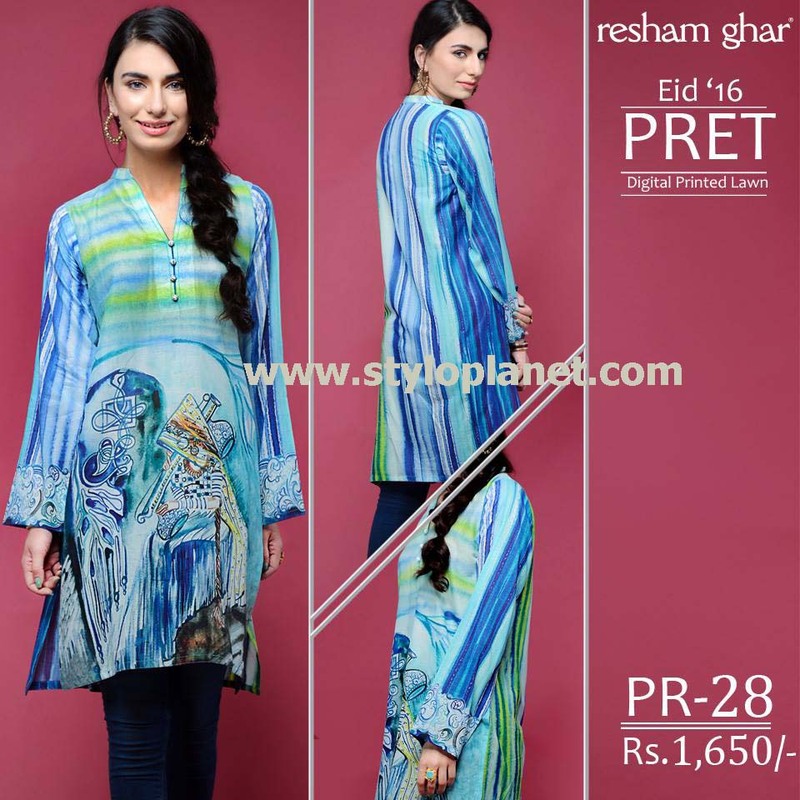 Like all other brands, Resham Ghar Pret Digital Printed Eid Lawn Collection 2016-2017, has sprung up with lots of vibrant and colorful variety of apparels. 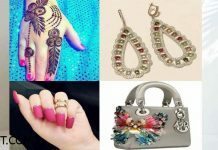 With the arrival of holy month of zilhajj, everyone get ready to prepare for eid and making this occasion more memorable and joyful with their relative, families, friends and community. 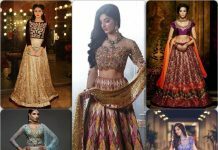 So everything counts in making this auspicious event including the dresses we wear. 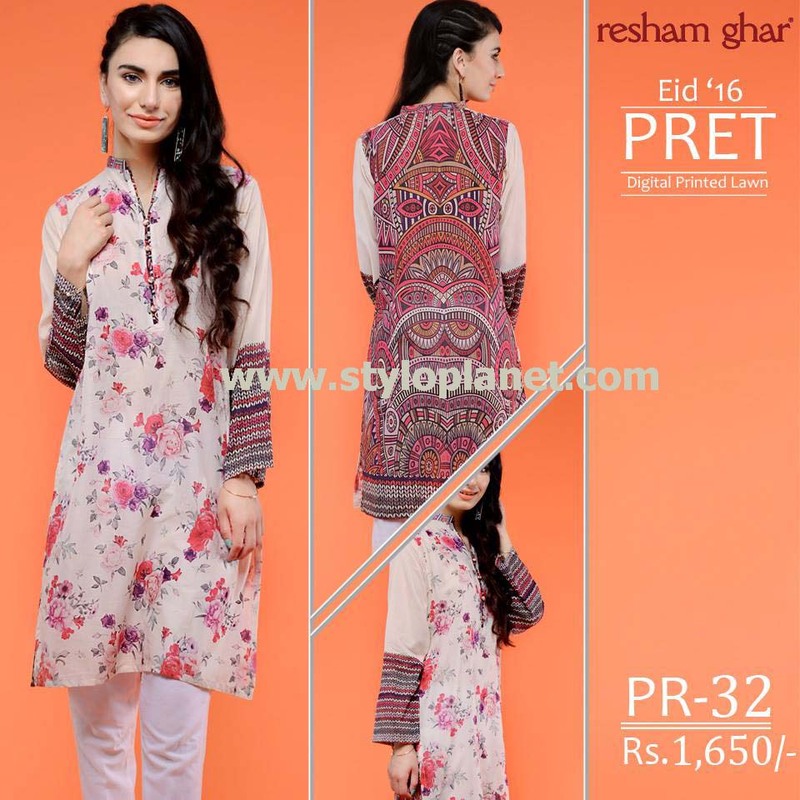 So girlies, your most awaited assortment has arrived in all stores and waiting for customers to come and grab for them to celebrate this Eid in best way. 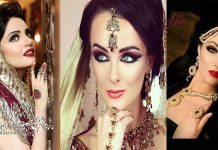 No matter, if the clients mention it or not, they are always considered about such things which are not so common in market and promised them to give them real values in return to penny spent for specific purchasing. 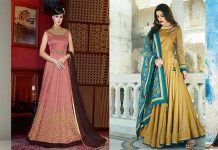 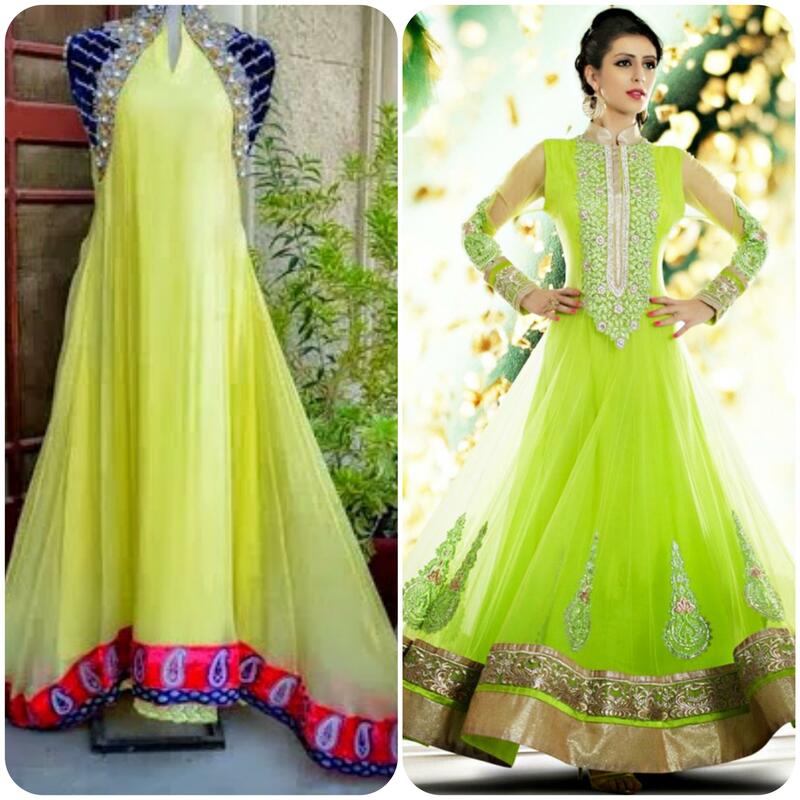 So, in order for any label to be on the top priority of the clients, it needs to have such dresses like quality, uniqueness, affordability, variety and designs lie in these as well. 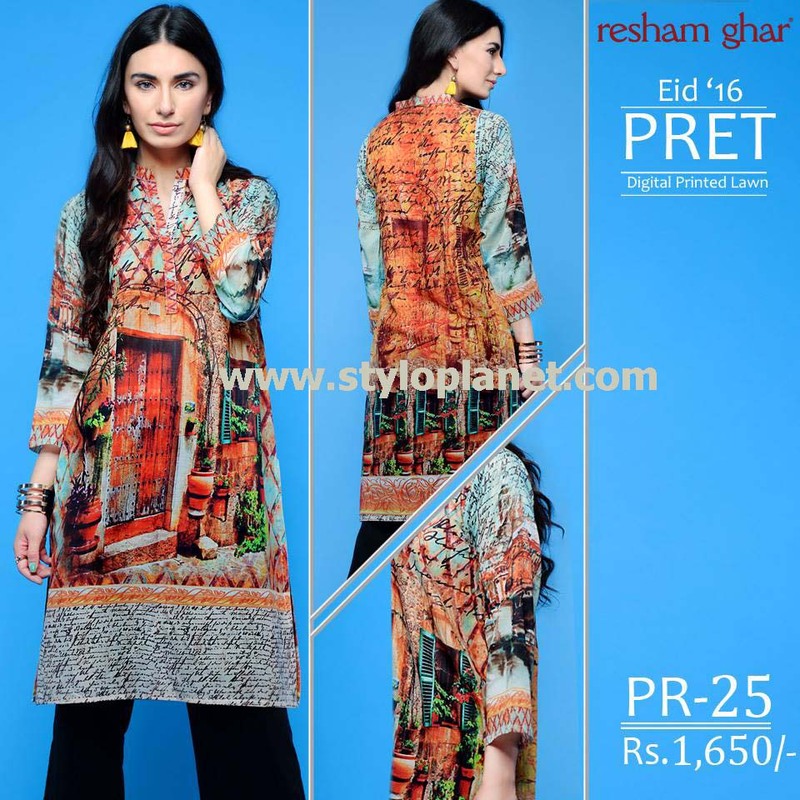 The brand“Resham Ghar” retains its position in industry when it comes to the combination of colors, elegance, choice of fabric. 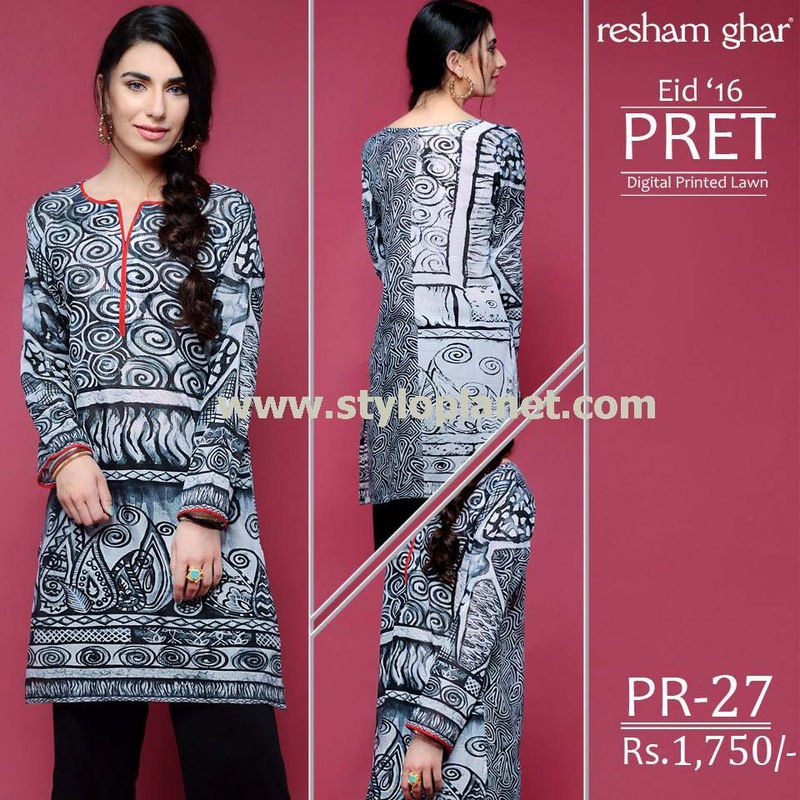 Not only this, they provide most distinctive design patterns. 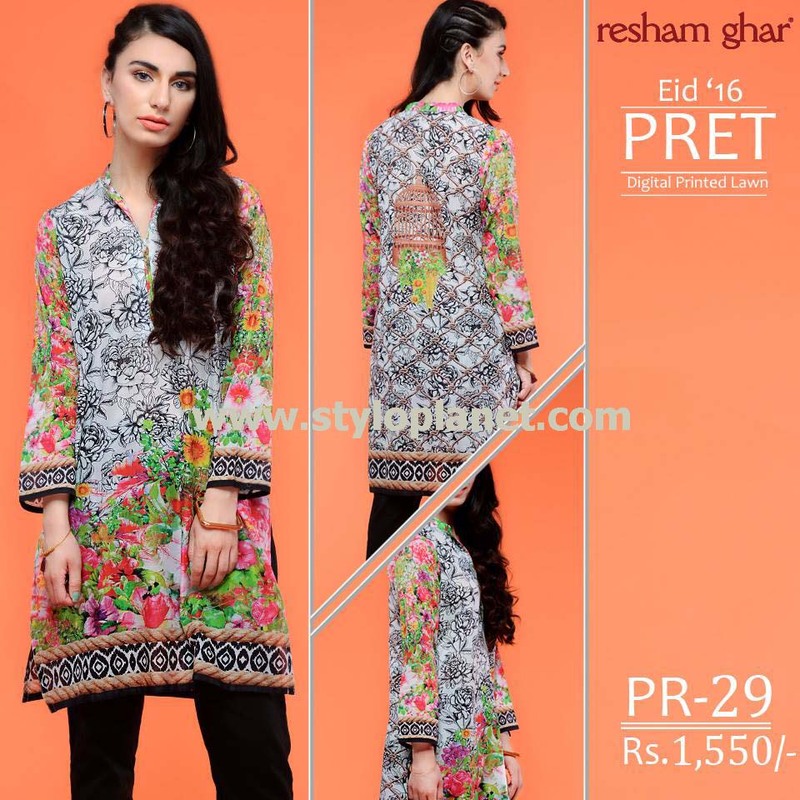 Now they have presented, Resham Ghar digital printed Lawn Dresses for Eid-ul-Adha 2016-2017 in blue, beige, black, green, red, yellow, maroon, sky blue, purple and many more colors in floral and botanical design patterns. 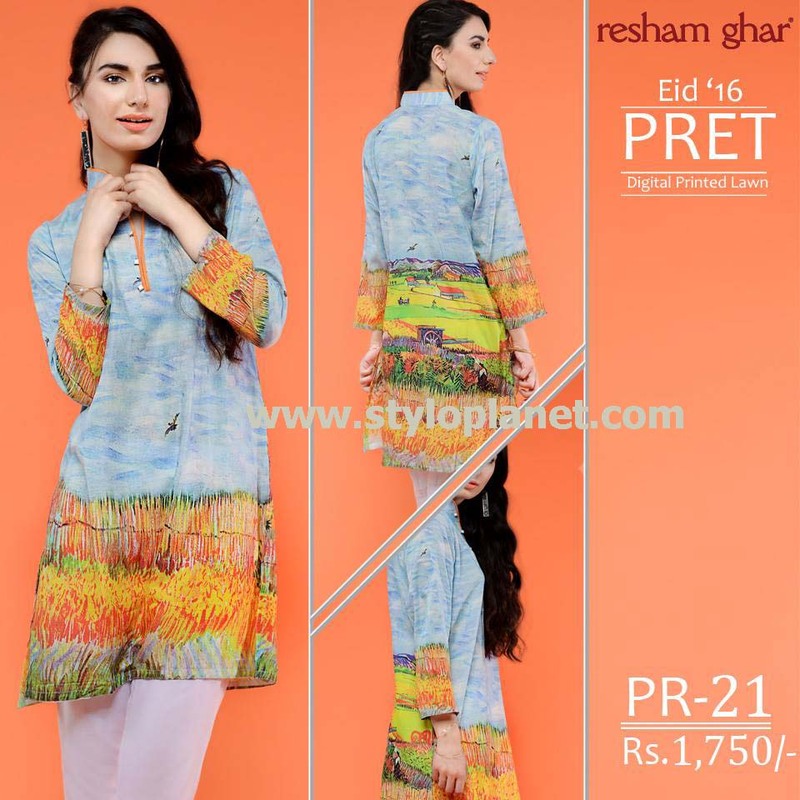 Price range of this assortment varies from PKR RS. 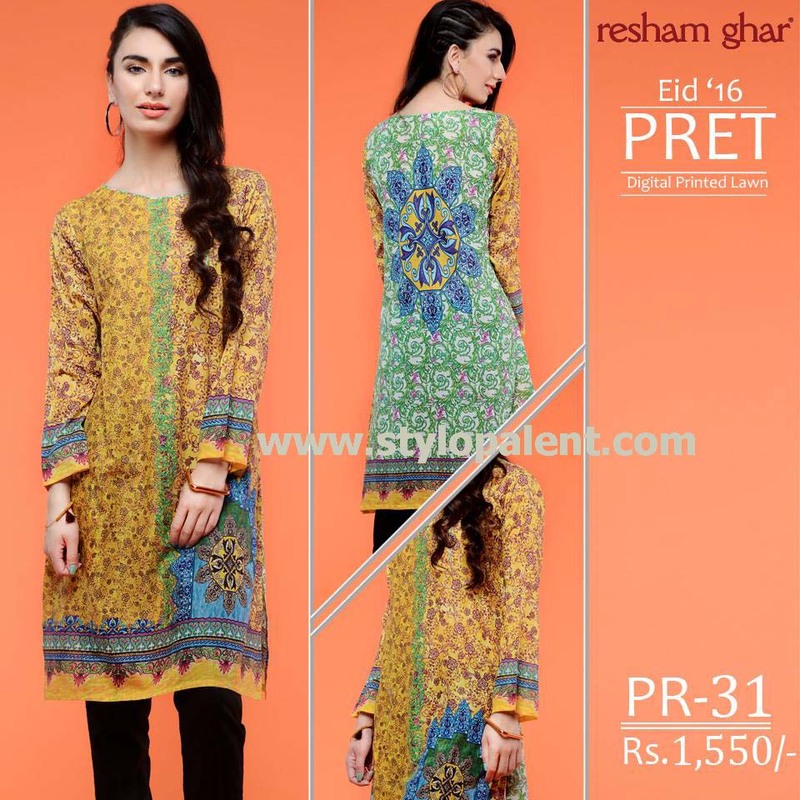 1,550 to PKR RS. 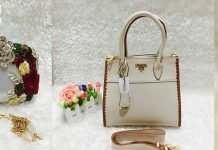 1,750. 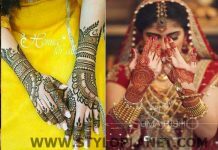 So have a look. 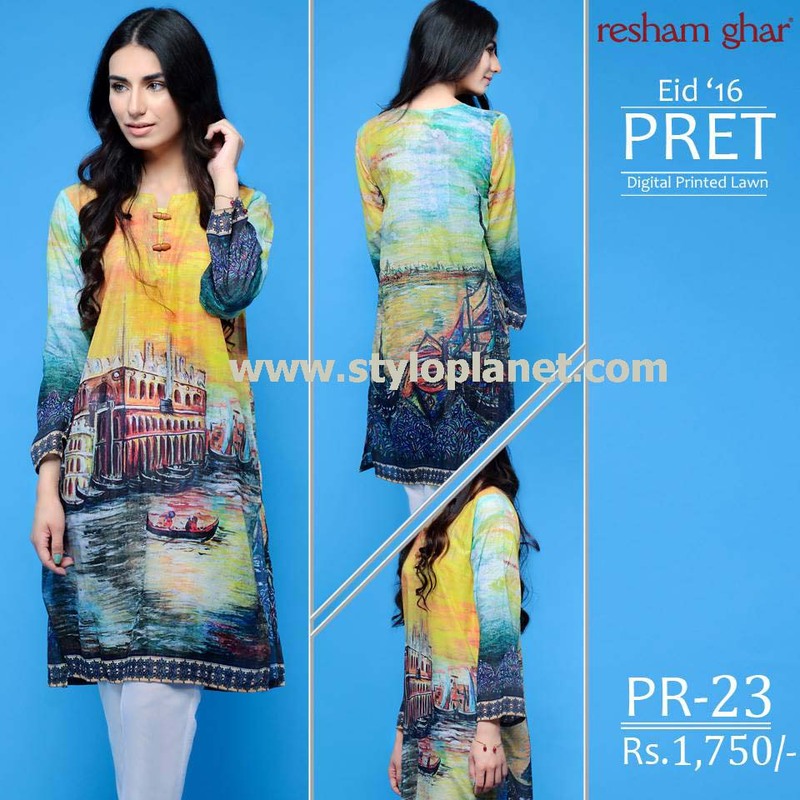 Resham ghar is here again with stunning newest assortment for women in chic digital prints. 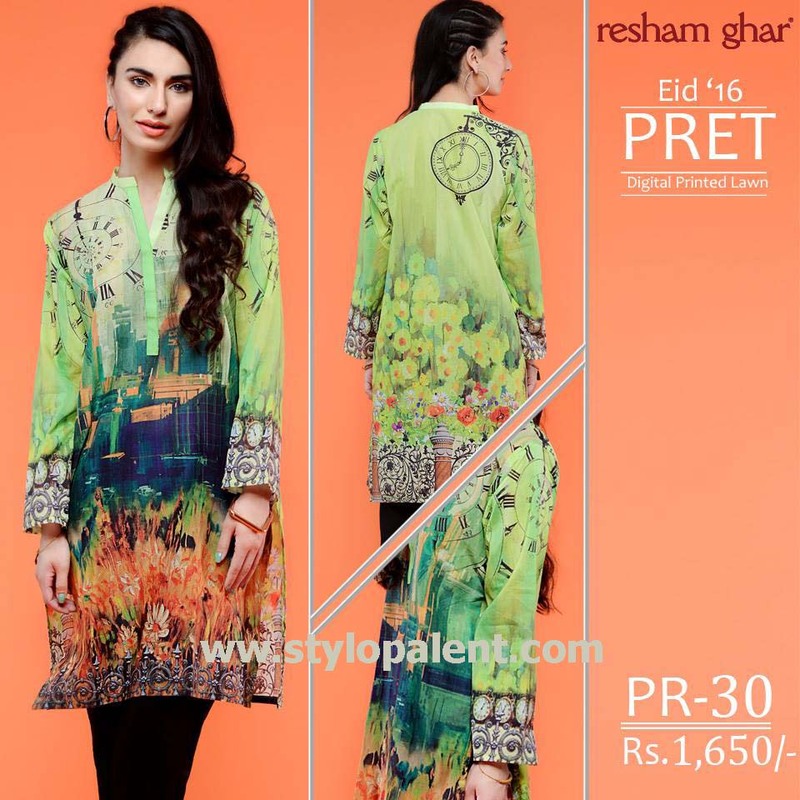 All dresses are adorned with digital floral and botanical prints.